In times of unrest, I always find comfort in a few well-chosen and lovingly recommended books. I turn to favourite authors and locations like the Quebec of Louise Penny, or I try out something completely new that I’ve seen other authors enthuse about, like Susie Steiner’s Manon Bradshaw series. Of course, poetry is always there to nourish and enlighten me. This is the first of three posts about comfort reading. From the blurb: Over the airwaves come reports of a missing woman – door ajar, keys and phone left behind, a spatter of blood on the kitchen floor. Manon knows the first 72 hours are critical: you find her, or you look for a body. And as soon as she sees a picture of Edith Hind, a Cambridge post-graduate from a well-connected family, she knows this case will be big. When I first read the blurb of this book, I thought: ‘Not for me. Sounds far too similar to far too many recent releases, nothing special to attract me.’ How wrong I was! Luckily, I got intrigued enough by an exchange of tweets between Sarah Perry, Adele Geras and others to give the author a chance – and I am so glad I did. It is great fun to read: clever, humorous, sarcastic at times, sharply observant of human nature with all its foibles. It is Jane Austen writing crime thrillers – and not at all of the cosy sort. The main detective, Manon Bradshaw, is immediately relatable – not dysfunctional, not a drunk, not heavily traumatised, but just starting to feel the pangs of middle age and the fear of loneliness. Her dating mishaps are both sad but also hilariously cringe-worthy. And the author pokes fun at the pretentiousness of Cambridge students or London professionals with connections. It’s an unusual police procedural, because it really takes its time to discuss department funding and interactions between team members, rather than rely on clichéed shortcuts. It felt more like the TV series Happy Valley or Scott and Bailey. Having given up on the book Tennison recently (although I loved Prime Suspect), because it had too many irrelevant details, I really connected with this one instead and stayed up all night to finish it. Not because it was full of ‘unguessable’ twists, but because it was so life-like, caring and well-written. I can’t wait to see what happens next with Manon and Fly and, luckily, I won’t have long to wait. The second book in the series Persons Unknown is due out in May 2017. Oh, this does sound interesting, Marina Sofia. It sounds like it’s about real, believable people and a solid case. And that’s always a major plus for me. Glad you enjoyed it. 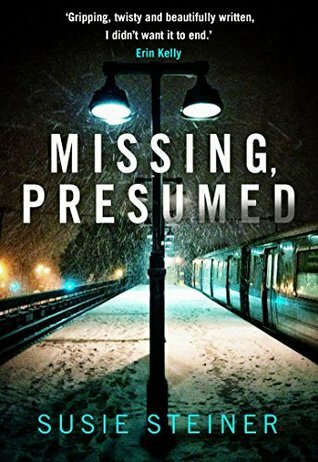 It reminds me of the Elly Griffiths’ Ruth Galloway series – believable, engaging characters and a proper case to solve as well. hooray for detective protagonists who are not dysfunctional. Its about time authors moved away from that crutch …. She’s not entirely perfectly functional, but then which one of us is? Oh, good, I hope you like it as much as I did! Let me know what you think. Like you I really connected with this book – it felt real because of some of the irrelevant information. I do like the comparison to those great TV series too, something some crime writers (publishers?) tend to overlook. I often turn to crime fiction when in need of a comfort read, but it’s usually the vintage type, a Golden-Age mystery or suchlike. This does sound good, though – the details sound authentic. Yes, Golden Age mysteries have an appeal in dark times as well. Anything which has a neat sense of resolution and absorbs you. You’ve done a much better job of enticing me to try this than the book blurb did!!!! I like the comfort of these too – and sometimes when I’m in a bit of a fiction overload they’re my go to book to recover any lost reading ‘mojo’!! Will try this. Oh, goodie! I think we must be the ‘difficult’ readers who don’t enjoy the obvious standard blurbs or avoid the ‘Girl who….something or other’ comparisons.